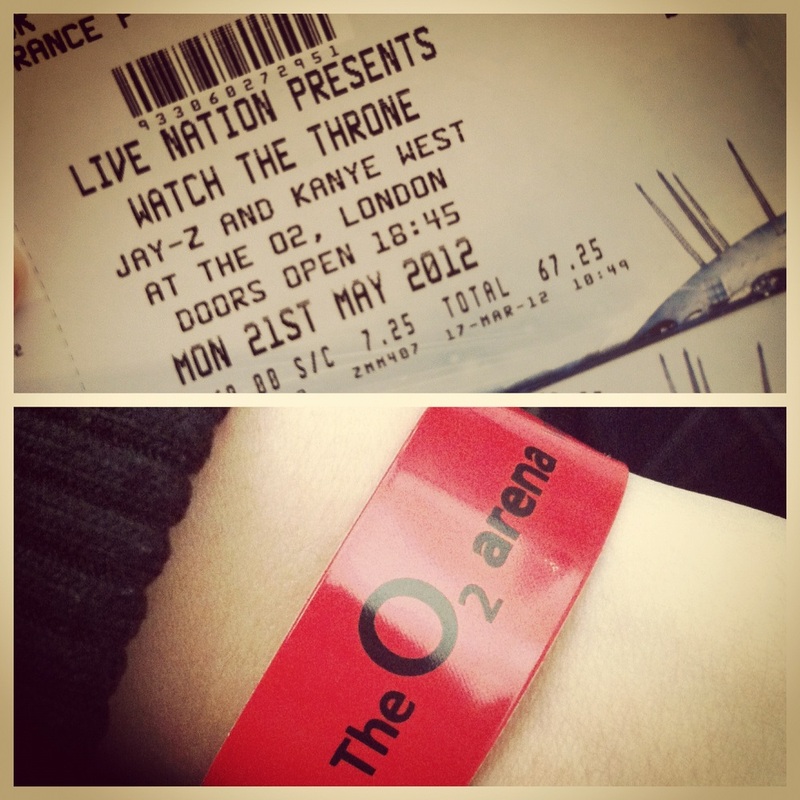 So last Monday (21st May) my boyfriend, a bunch of friends and I managed to get tickets for Kanye West and Jay Z’s ‘Watch The Throne’ tour in the O2 Arena, London! 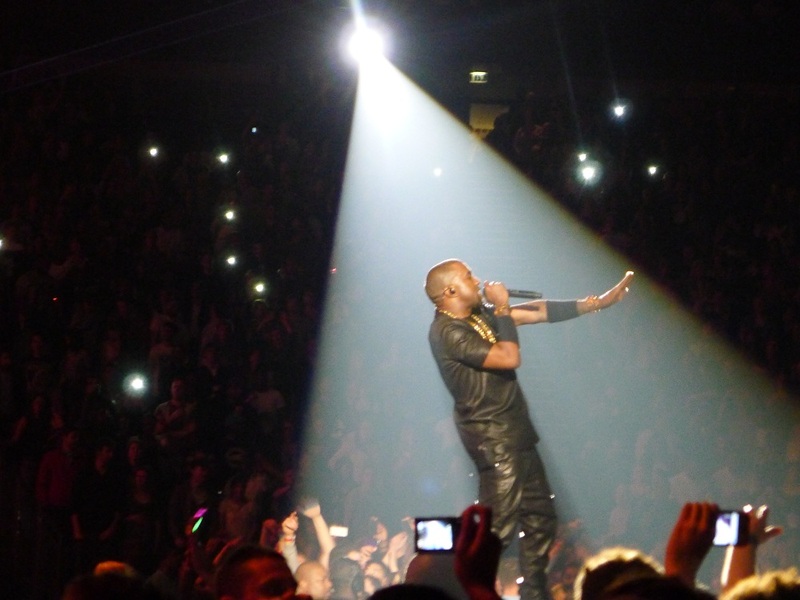 There was a lot queuing and waiting around as you expect from gigs, BUT after much anticipation, Kanye West finally emerged on stage! There was some eerie operatic singing and then he launched straight into H•A•M (the first single which they released from their collaboration album). 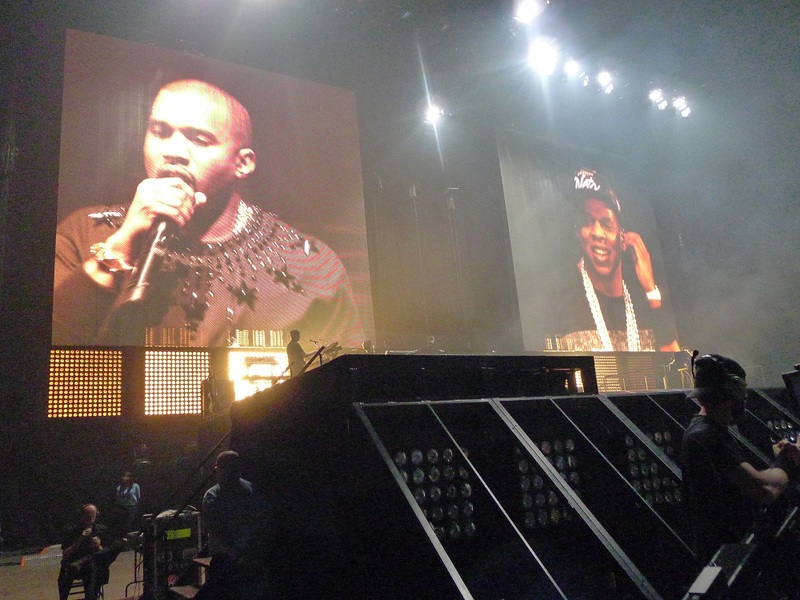 Then you can hear Jay Z rapping in time with him and then minutes later he rises up from a podium/stage on the other side of the room! The crowd actually went WILD! There was jumping and screaming from the sea of people surrounding the stages and honestly I must admit I was in complete awe! 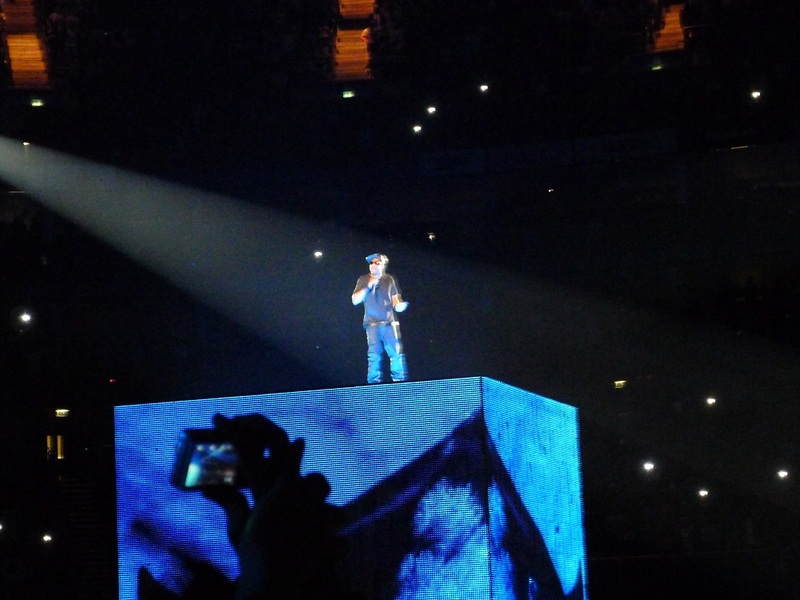 There were 2 screens on stage which makes it easier to see them amongst the crowd (me being 5 ft tall I found it helped a lot!) and they also played clips during some of their songs which set a scene for the music. The podiums also projected video clips and there were flashing strobe lights every now and then! 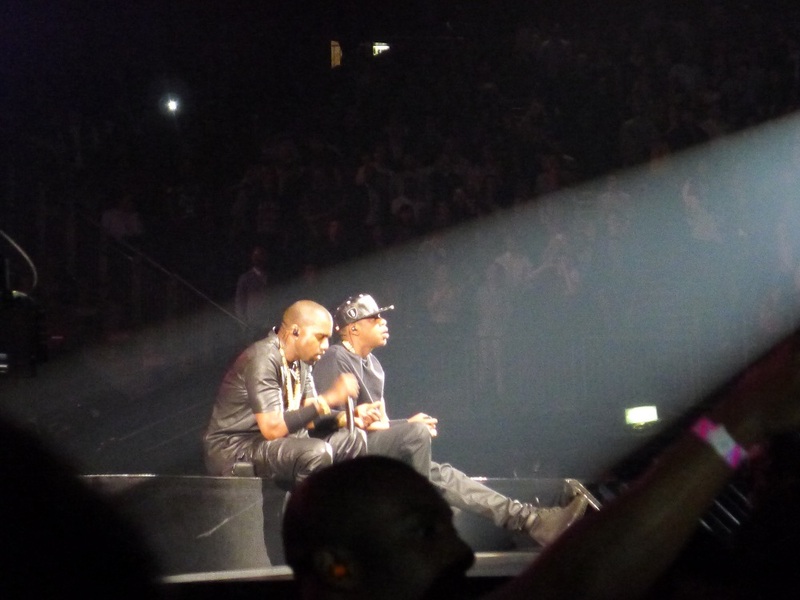 They both played the classics (‘Jesus Walks’, ‘Hard Knock Life’, ‘All Falls Down’ and ‘IZZO’) and of course some new tracks from their album ‘Watch The Throne’ (‘Otis’, ‘Welcome To The Jungle’ and ‘Ni**as in Paris’ which they played multiple times!). 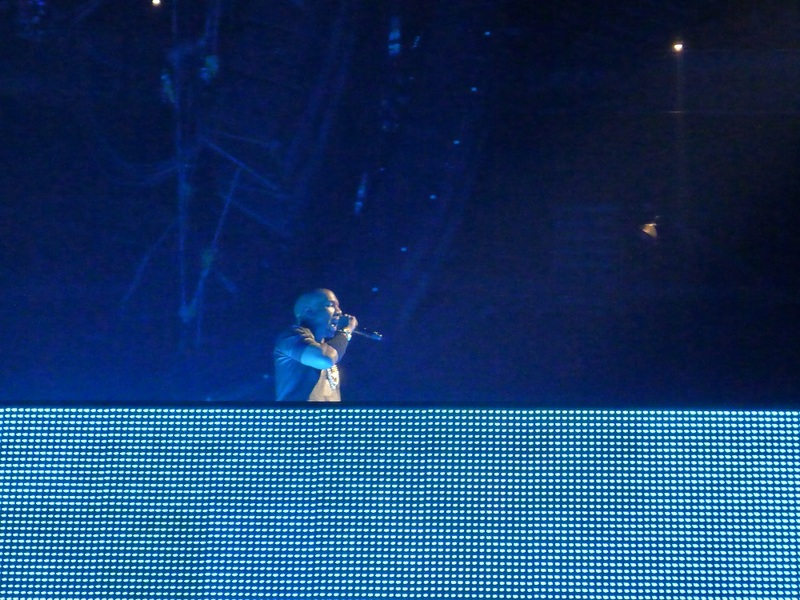 The atmosphere was EPIC! 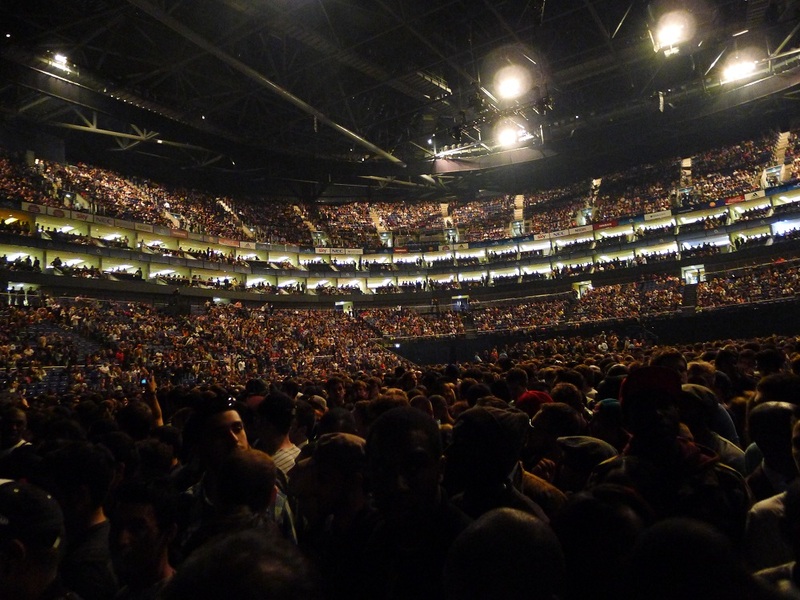 We didn’t have Rihanna turn up like she did for Sunday night’s performance, but we did see Kim Kardashian. 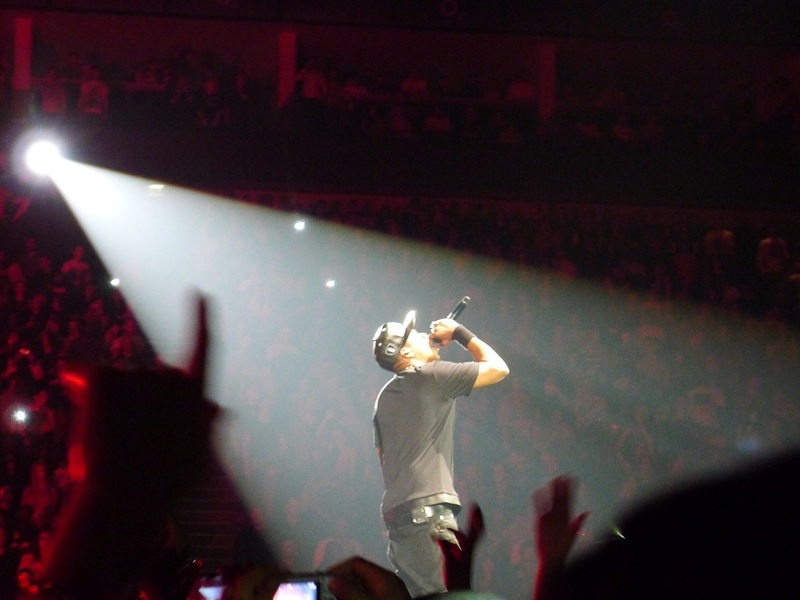 Those were only some of the photos I took on the night amongst all the excited fans but if you’ve had the chance to go and see Kanye West and Jay Z you’ll know exactly what I’m talking about. 😉 This was undoubtedly one of the greatest performances I’ve ever seen and I only hope there’ll be another opportunity for me to see them again!